Recently, the Wall Street Journal published a piece with the surprising title “Science Increasingly Makes the Case for God.” At least it was surprising to me, because I hadn’t heard the news. The piece argued that new scientific evidence bolsters the claim that the appearance of life in the universe requires a miracle, and it received almost four hundred thousand Facebook shares and likes. The author of the piece, Eric Metaxas, is not himself a scientist. Rather, he’s a writer and a TV host, and the article was a not-so-thinly-veiled attempt to resurrect the notion of intelligent design, which gives religious arguments the veneer of science—this time in a cosmological context. Life exists only on Earth and has not been found elsewhere. Moreover, the conditions that caused life to appear here are miraculous. 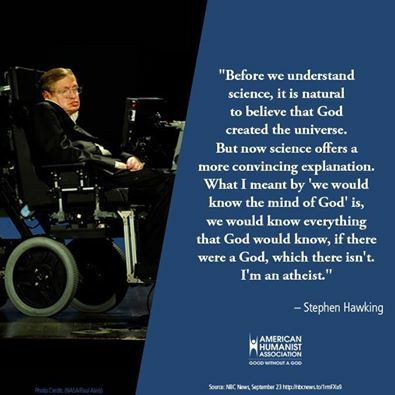 So doesn’t that mean we must have come from a miracle at the hand of God? “Doesn’t assuming that an intelligence created these perfect conditions require far less faith than believing that a life-sustaining Earth just happened to beat the inconceivable odds to come into being?” Metaxas writes. In response, I should begin by noting that the science of “astrobiology”—which, loosely stated, searches for signs of life elsewhere and explores the astrophysical and cosmological conditions that might allow for life to exist in our universe—is still in its infancy. Consensus on many issues has not yet been achieved, and the quality of work in the field varies significantly. Still, what we have unequivocally learned over the past decade or so is, to paraphrase Hamlet, that there are many more things in Heaven and Earth than were dreamt of in our imagination. The opportunities for the development of life in various systems, and the possible forms of life we know of, have exploded. Metaxas believes that our increased understanding of our evolutionary history implies that the origin of life on Earth is increasingly inexplicable. But the evidence seems to point in the opposite direction. Let’s start with the first point raised in the Journal piece, which is that the more we have learned about our own evolutionary history on Earth, the more we appreciate the many different factors that may have been important in allowing that evolution. For example, we know that had Jupiter, with its massive gravity, not existed, asteroids and comets would have bombarded Earth throughout its history, disrupting the stable evolutionary development of multicellular organisms. Moreover, we know that if our sun were not in the outer part of our galaxy, life as it exists would have been impossible, both because of the impact of harmful cosmic radiation and because of gravitational perturbations that might easily have disrupted stable planetary orbits. The moon formed during a collision involving the nascent Earth, giving the planet the tilt that allows for seasonal variations and tides. Earth exists in the habitable zone where liquid water is possible. Liquid water was possible only on early Earth because of the high concentration of carbon dioxide in the atmosphere. Such a claim is fraught with statistical perils, however. The first is a familiar mistake of elaborating all the factors responsible for some specific event and calculating all the probabilities as if they were independent. In order for me to be writing this piece at this precise instant on this airplane, having done all the things I’ve done today, consider all the factors that had to be “just right”: I had to find myself in San Francisco, among all the cities in the world; the sequence of stoplights that my taxi had to traverse had to be just right, in order to get me to the airport when I did; the airport security screener had to experience a similar set of coincidences in order to be there when I needed her; same goes for the pilot. It would be easy for me to derive a set of probabilities that, when multiplied together, would produce a number so small that it would be statistically impossible for me to be here now writing. This approach, of course, involves many fallacies. It is clear that many routes could have led to the same result. Similarly, when we consider the evolution of life on Earth, we have to ask what factors could have been different and still allowed for intelligent life. Consider a wild example, involving the asteroid that hit Earth sixty-five million years ago, wiping out the dinosaurs and a host of other species, and probably allowing an evolutionary niche for mammals to begin to flourish. This was a bad thing for life in general, but a good thing for us. Had that not happened, however, maybe giant intelligent reptiles would be arguing about the existence of God today. An even more severe problem in Metaxas’s argument is the assumption of randomness, namely that physical processes do not naturally drive a system toward a certain state. This is the most common error among those who argue that, given the complexity of life on Earth, evolution is as implausible as a tornado ravaging a junkyard and producing a 747. The latter event is, indeed, essentially statistically impossible. However, we now understand that the process of natural selection implies that evolution is anything but random. Is it a miracle that the planet produced animals as complex as, and yet as different from, humans, dolphins, and cicadas, each so well “designed” for its own habitat? No. Natural selection drives systems in a specific direction, and the remarkable diversity of species on Earth today, each evolved for evolutionary success in a different environment, is one result. Non-randomness is now understood to have a likely impact on the first appearance of life. For example, new insights into geophysical and chemical processes in extreme environments suggest that early Earth naturally favored the production of relatively large organic molecules. Moreover, we have continued to find in space the more sophisticated components associated with the evolution of life on Earth. The build-up of these complex precursors of life is, therefore, far from purely random. Furthermore, a recent interesting, if speculative, proposal suggests that, when driven by an external source of energy,matter will rearrange itself to dissipate this energy most efficiently. Living systems allow greater dissipation, which means that the laws of physics might suggest that life is, in some sense, inevitable. Beyond this, two exciting scientific advances in recent decades have identified new ways in which life can evolve, and new locales where it can do so. First, we have discovered a surprisingly diverse group of new solar systems. And we now understand that, even in our solar system, there are a host of possible sites where life might have evolved that were long considered unlikely. Moons of Jupiter and Saturn may have vast oceans of liquid water, underneath ice covers, which are heated by gravitational tidal friction associated with their giant hosts. On Earth, scientists have had to revise old rules about where and how life can survive. The discovery of so-called extremophiles—life forms that can live in extreme acids, or under extreme heat or pressure—has vastly increased the set of conditions under which we can imagine life existing on this planet. Astrophysicists now know that the values of the four fundamental forces—gravity, the electromagnetic force, and the “strong” and “weak” nuclear forces—were determined less than one millionth of a second after the big bang. Alter any one value and the universe could not exist. For instance, if the ratio between the nuclear strong force and the electromagnetic force had been off by the tiniest fraction of the tiniest fraction—by even one part in 100,000,000,000,000,000—then no stars could have ever formed at all. Feel free to gulp. It is true that a small change in the strength of the four known forces (but nowhere near as small as Metaxas argues) would imply that stable protons and neutrons, the basis of atomic nuclei, might not exist. (The universe, however, would—a rather large error in the Metaxas piece.) This is old news and, while it’s an interesting fact, it certainly does not require a deity. Once again, it likely confuses cause and effect. The constants of the universe indeed allow the existence of life as we know it. However, it is much more likely that life is tuned to the universe rather than the other way around. We survive on Earth in part because Earth’s gravity keeps us from floating off. But the strength of gravity selects a planet like Earth, among the variety of planets, to be habitable for life forms like us. Reversing the sense of cause and effect in this statement, as Metaxas does in cosmology, is like saying that it’s a miracle that everyone’s legs are exactly long enough to reach the ground. In fact, one of the most severe apparent fine tunings often referred to by creationists like Metaxas is that of the so-called cosmological constant, the energy of empty space that has recently been discovered to be causing the expansion of the universe to accelerate over time. It remains one of the biggest mysteries in physics, as it appears to be over a hundred and twenty orders of magnitude smaller than our theories suggest it could be. And if it were as large as the theories suggest it should be, then galaxies, stars, and planets would never have formed. Is this a clear example of design? Of course not. If it were zero, which would be “natural” from a theoretical perspective, the universe would in fact be more hospitable to life. If the cosmological constant were different, perhaps vastly different kinds of life might have arisen. Moreover, arguing that God exists because many cosmic mysteries remain is intellectually lazy in the extreme. The more we understand the universe, the more remarkable it appears to be. Exploring how this remarkable diversity can arise by potentially simple laws has been one of the most successful, and intellectually beautiful, efforts in human history. The “null hypothesis” is most often the default hypothesis in science. We reject the null hypothesis (namely that what we think is significant is simply an accident, or noise) only when we have clear evidence to back it up. Or, as Carl Sagan often repeated, extraordinary events require extraordinary evidence. Surely the God hypothesis—that some invisible intelligence that must be eternal (i.e. not designed) and not subject to the laws of nature created and designed the entire universe for the benefit of one particular species on one particular planet at one particular time—is extraordinary in the extreme. My colleagues and I are optimistic that evidence for life, either elsewhere in our solar system or elsewhere in the universe, may be discovered in the coming decades. Of course, we can’t be certain, but that doesn’t stop us from trying. Whether intelligent life exists elsewhere in the universe is even more uncertain, but nothing we have discovered suggests that the possibility of life requires something supernatural. In the meantime, both believers and non-believers are done a huge disservice when people promulgate biased and disingenuous claims that distort what current science implies and can imply about the universe. In a society in which the understanding of science is already marginal—and where, at the same time, the continued health of modern society as it meets the challenges of the twenty-first century depends, in some sense, on our ability to utilize our scientific knowledge, both to create new technologies and to help guide rational public policies—this is the last thing we need.